JaguarPC is one of the pioneers of VPS hosting and assures an impeccable service. It’s a seasoned name across the hosting scene serving for around 15 years now. With a stellar combo of premium support, reliable and highly affordable hosting, it has made a solid fan niche for itself. Unmetered bandwidth, disk space and domains are predominant with the hosting facility here along with daily backup. Here is our detailed review on JaguarPC’s VPS hosting services. JaguarPC offers both Linux and Windows VPS hosting services. The Linux plan starts from 19.95/ month annually and the Windows plan starts from 29.95/ month annually. JaguarPC clearly stands out in the competition with its unique 100 percent uptime guarantee. While the other VPS hosting service providers limit themselves to 99 percent, this seasoned VPS host is confident enough for an all-time visibility for its clients. The company keeps no stone unturned to ensure no downtime and a completely uninterrupted run of network infrastructure. Such a superior uptime facility can be credited to the firm’s reliance on best possible hardware and equipments. It maintains a completely redundant network and the servers here are housed exclusively under superior data centers, kept under 24/7 expert monitoring. JaguarPC guarantees a fully managed comprehensive VPS service. The firm admins are backed by prolonged server management experience and hence always ensure a knowledgeable expert management. The company counts on powerful tools and proactive monitoring for a premium VPS management and effective troubleshooting. It handles its managed VPS services with very popular cPanel, completely free of charge. 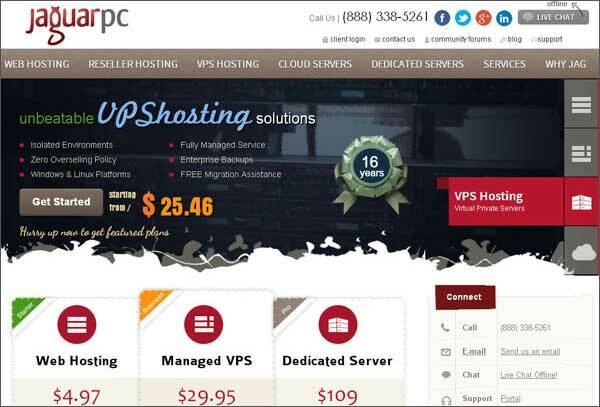 This is yet another highly commendable feature of JaguarPC VPS web hosting. The company relies on authentic SuperMicro servers in support of all the VPS nodes. Every one of them involves multi Xeon 4-core CPUs, several ECC RAM (registered) as well as Raid-10 big hardware disc arrays. 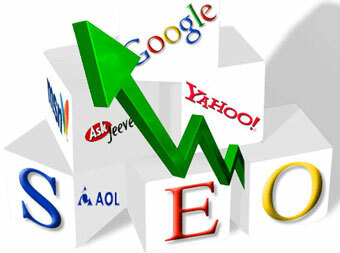 The company maintains an ethical approach in its business and steers clear of any overselling of VPS resources. JaguarPC installs and configures all software systems necessary for a smooth run of the client’s VPS server- including a diverse array of OS, control panels and must-have-tools like ProFTP, Apacge, OpenSSL, Exim, Perl, PHP etc. The seasoned certified engineers at the company proceeds with server hardening service initially to eliminate security weakness through optimizing every facet of client’s VPS, file system, network and operating system. The very point proves the high end popularity of JaguarPC VPS hosting service. The company offers complete root access that enables the client to effortlessly install and customize the advanced software virtually, akin to a dedicated hosting account- but sans the expensive price tag common with dedicated server. The complete root access facility ensures usual administration through cPanel. Another good bit about JaguarPC VPS hosting is that the leading web host utilizes the best of server-virtualization technology for its Windows based VPS plans- Virtuozzo. The Linux panels have also got a very robust treatment with the high end SolusVM solution. The Linux clients here are also allowed to choose The Virtuozzo platform against some additional bucks. Each of these servers assure complete dedicated server facilities like rebootable functionality , root accession, changing any of the files and capacity to install all applications. In case the VPS is somehow offline, the client would still be capable of accessing Power Panel for the specific tasks including Download of QOS Reports, OS Reload, viewing VPS Resource Data and so on. JaguarPC is one of the most trusted names all over the world when it comes to data maintenance. The company officials carry on a thorough backup daily on all the VPS nodes, armed by “R1soft Enterprise Continuous Data Protection”. The backup service offered is completely free of cost with every VPS plan from the company. JaguarPC is equipped with a very caring and strong technical support team which is available all the time, round the clock. The company assures tech support through live chat, phone, email, web community forum and Ticket System. It has come up with free of charge Softaculous, WHM/cPanel, RvSkin and RySitebuilder and other tools to ensure fast hassle free website incorporation. 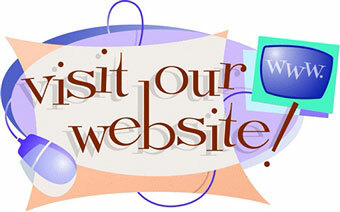 The company offers a 45 day cash-back guarantee for all its new VPS clients. This gives you considerable time to try out there VPS services without any risk. JaguarPC also extends reseller hosting, dedicated server hosting and hybrid server hosting, along with the VPS offerings. The company extends unmetered disk space, data transfer/bandwidth, MySQL, FTP, email, parked domains, sub-domains, free of cost set-up, free of charge SSL access, free Softaculous script installer and free RVSiteBuilder.